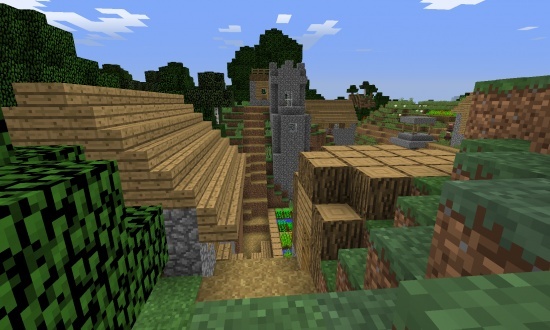 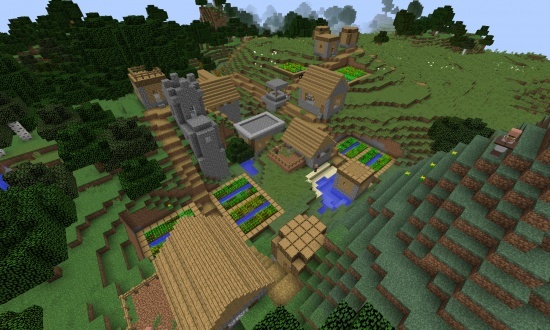 Spawn next to a village that contains every building type and has fields with wheat, potatoes, and carrots. 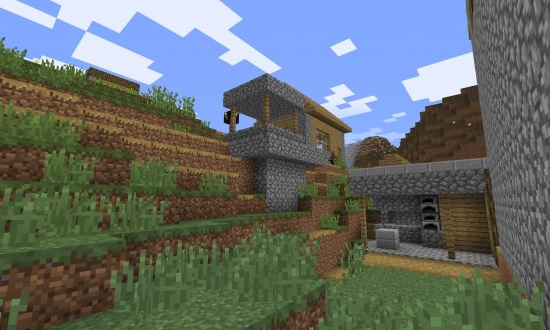 The blacksmith chest has an iron sword and apples and bread. 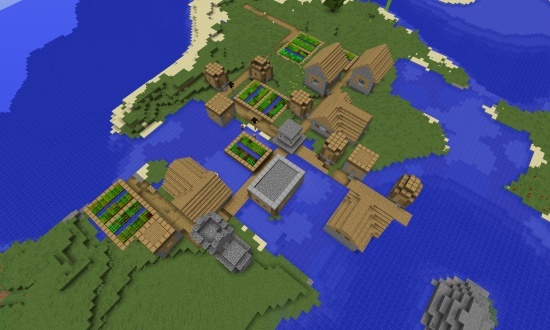 Directly to the south is another village with beets. 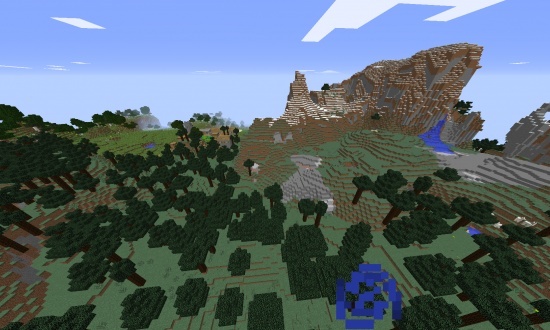 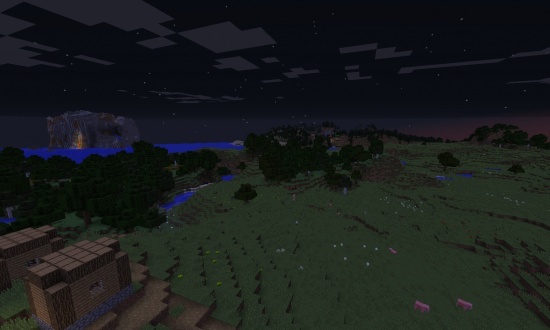 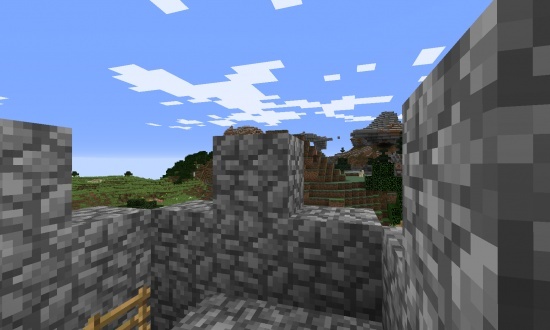 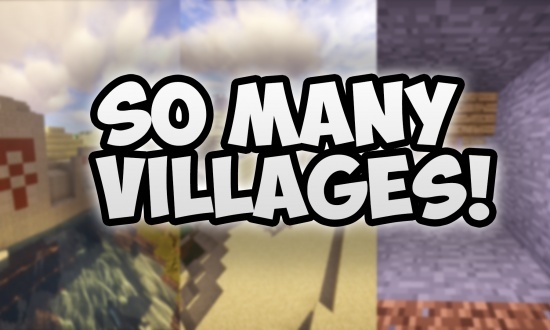 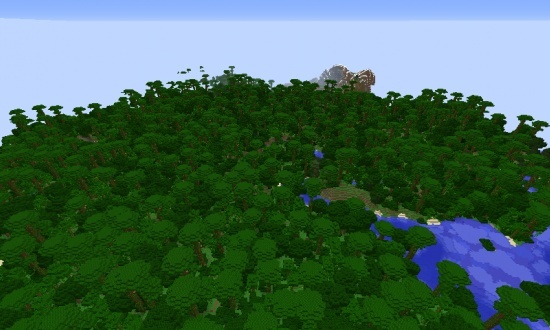 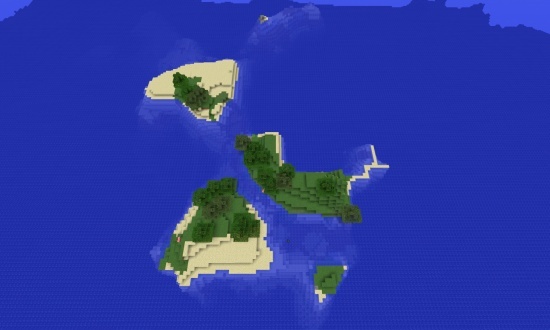 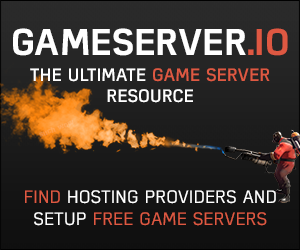 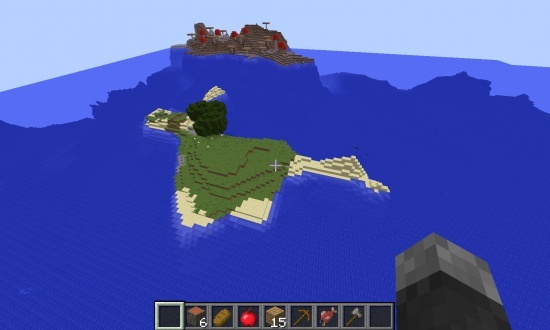 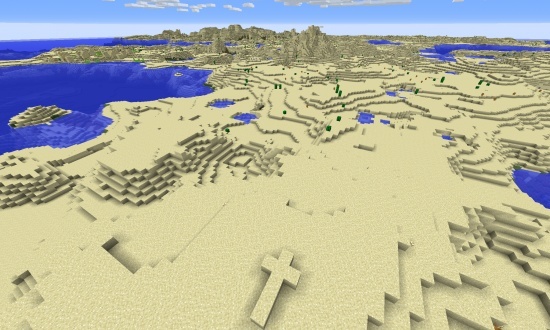 The spawn village is on a river that borders some extreme hills (with floating peaks), a forest, and some plains near an ocean.